This brooch was a finalist for the 2018 Saul Bell Design Award presented by Rio Grande. 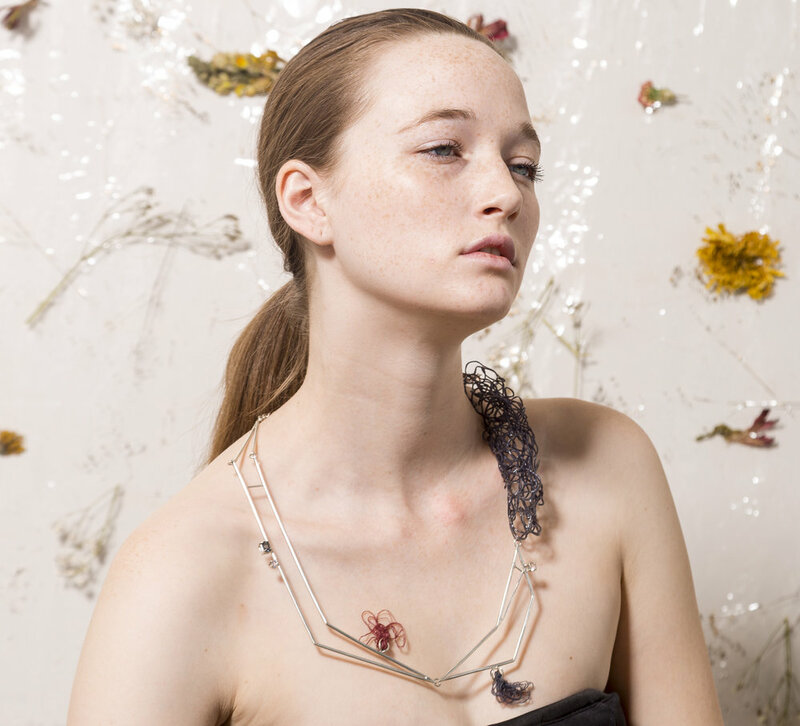 The two brooches in this collection were presented in the third part of the collection because, traditionally, brooches go on your chest, over your lungs. Without balance and comfort in your life, your breathing will always be uneven, never controlled. Brooches need a safe place to lie; they need a place where the movement is steady so they can stay secured on the body.